apply Krampert’s Bay Rum, just right! 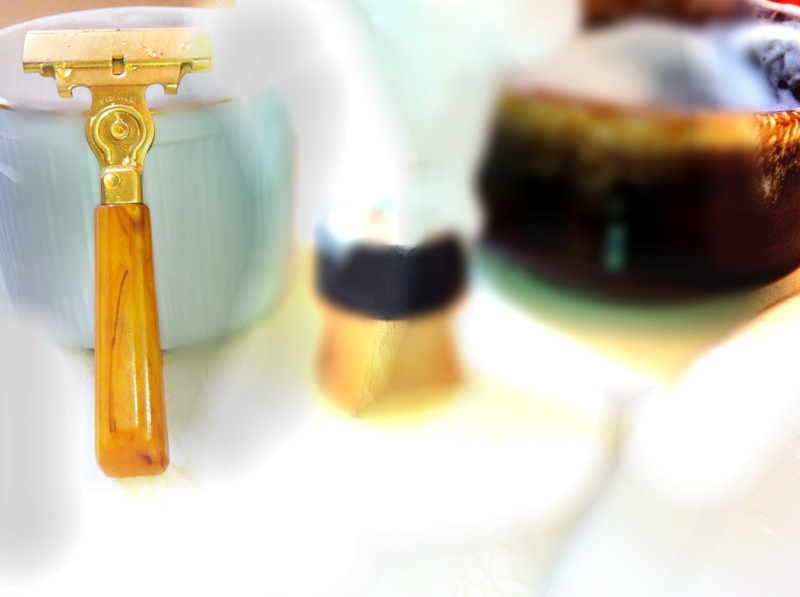 A luxury shave, smooth and comfortable, wow, feels like a million bucks. Today I achieved my first BBS! 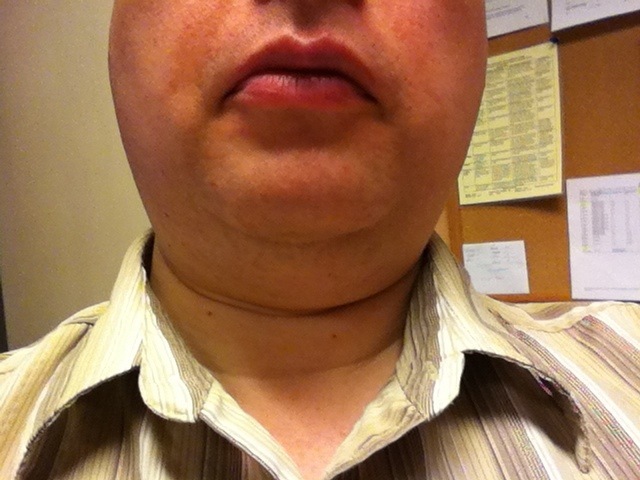 I’ve never felt the place between my Adam’s apple and chin so smooth and without stubble in every direction. My face feels so cool like an early spring morning with a slight breeze blowing on it. Wow. This morning I used my pre-shave prosaso cream, and hydrated my face with much more water than I usually use between each pass. 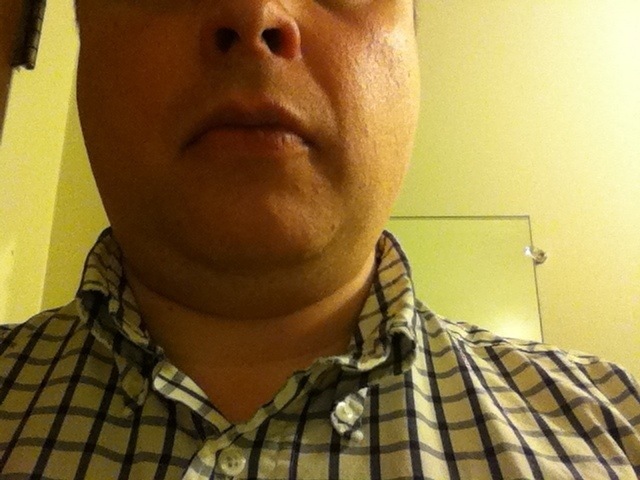 It was a three pass shave with touch ups on my neck and cheeks. The extra hydration helped prevent razor burn as I used the buffing technique, which I think I finally did right. 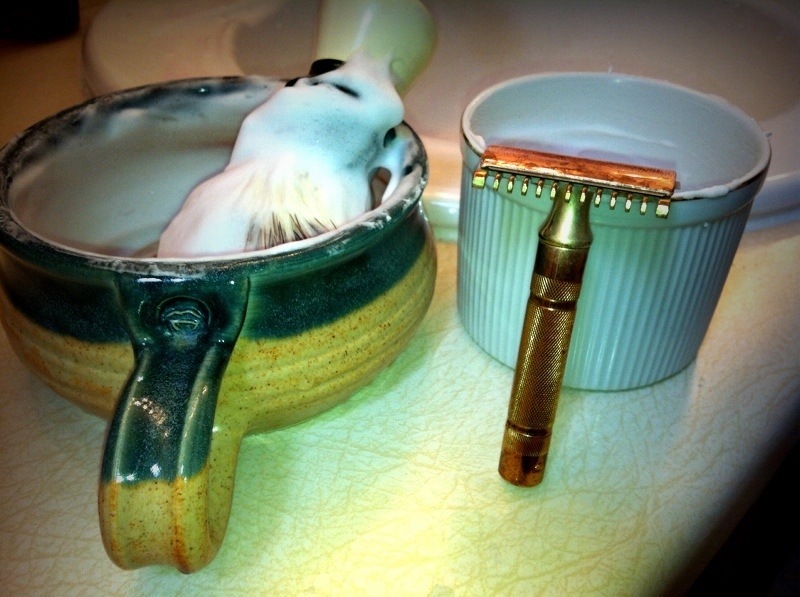 Using my Gold Gillette Tech and Derby blade (2nd day use) I endeavored to use no pressure, and took my time. 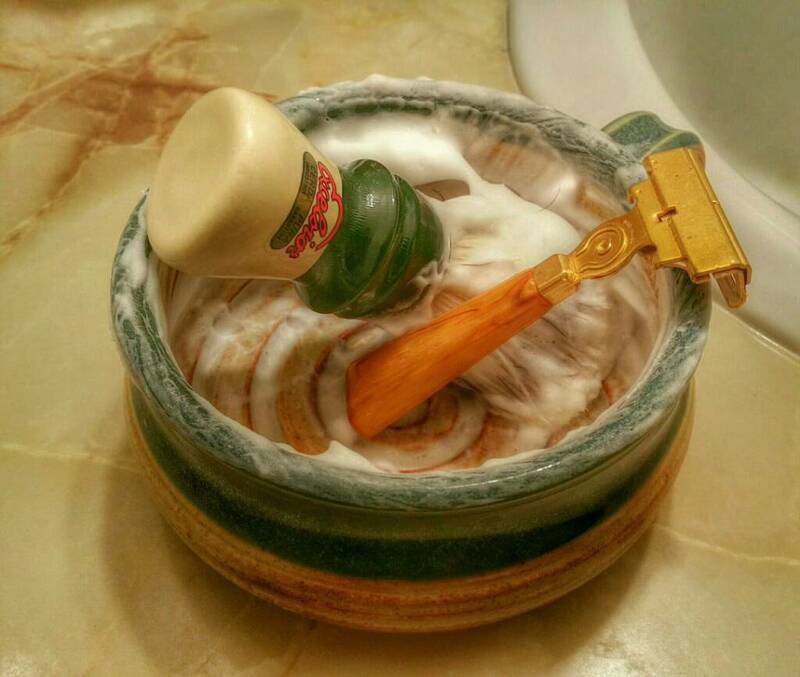 The refreshing splash of Captain’s Choice Bay Rum was my reward for such a good shave! It seems like the Derby’s second day of use is always the best. I can’t wait to try sharper blades in the near future. I was so tempted to jump to my new Edwin Jagger DE89 but I thought I should stick with my present set-up and work on my technique. This seems to be paying off well! Again with my Gold Tech, love this razor. Finally bought a blade sampler pack as I’m not sure about the Derby, seems like it irritates more than gives me comfort. No cuts in today’s shave, started a new Derby, old wounds are a little irritated and can’t wait till they heal. I’ll keep trying to do less passes until they fully heal. Today a splash of Pinaud’s Special Reserve, again I feel like a million bucks!